Welcome to Obsidian Architecture - a boutique-style architectural firm based in Bend, Oregon. My name is Mitch Darby and I am a licensed architect in central Oregon with over twenty years of professional design experience. In the first part of my career, with other architects, I was exposed to a wide variety of project types. I have worked on the design of the smallest garage remodel to multi-million dollar urban high-rises. I initially formed Obsidian Architecture in 2013 as a residential architecture practice specializing in high-end custom home design. In 2016, I obtained my real estate broker license and became a broker with Berkshire Hathaway HomeServices Northwest Real Estate. Today I wear both hats – primarily working as a real estate broker, while operating Obsidian Architecture as an architectural consulting firm. 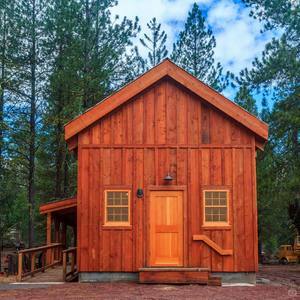 Located in the beautiful high desert of central Oregon, Obsidian Architecture is within easy reach of the communities of Bend, Redmond, Madras, Prineville, Sisters, & La Pine, as well as the many destination resorts in the area including Black Butte Ranch, Brasada Ranch, Crooked River Ranch, Eagle Crest, Mt. Bachelor Village, Pronghorn, Ranch At The Canyons, Seventh Mountain, Sunriver, and Tetherow. Zillow Digs screened over 2 million home listings for the features most influenced short listing times and above-average sale prices. What's the deal with those anonymous posts on Craigslist and how do I verify that an architect or firm is actually licensed? The subject of one of my first blog posts, the Famous Tree residence by Cutler Anderson Architects, has been listed for sale. Longtime owner James Goldstein plans to donate his Sheats-Goldstein residence (by architect John Lautner) to the Los Angeles County Museum of Art. This past weekend I saw the new Coen Brothers film, HAIL CAESAR!, which features a home based on Clinton Della Walker Residence by Frank Lloyd Wright. For Hollywood producer Brian Grazer, "Curiosity is the tool that sparks creativity." His curious mind has been a great asset on his road to success. One of the larger estates I've ever been involved with has recently been listed with an asking price of $11,950,000. Interestingly, there is a canyon just outside of Death Valley National Park that has been given the informal nickname of "Star Wars Canyon." For STAR WARS - EPISODE VI - RETURN OF THE JEDI, a small crew returned to Death Valley for a single day shoot involving C-3PO and R2-D2. For me personally, Golden Canyon was the most fun of all the STAR WARS filming locations in Death Valley as it embodied the most mystery.